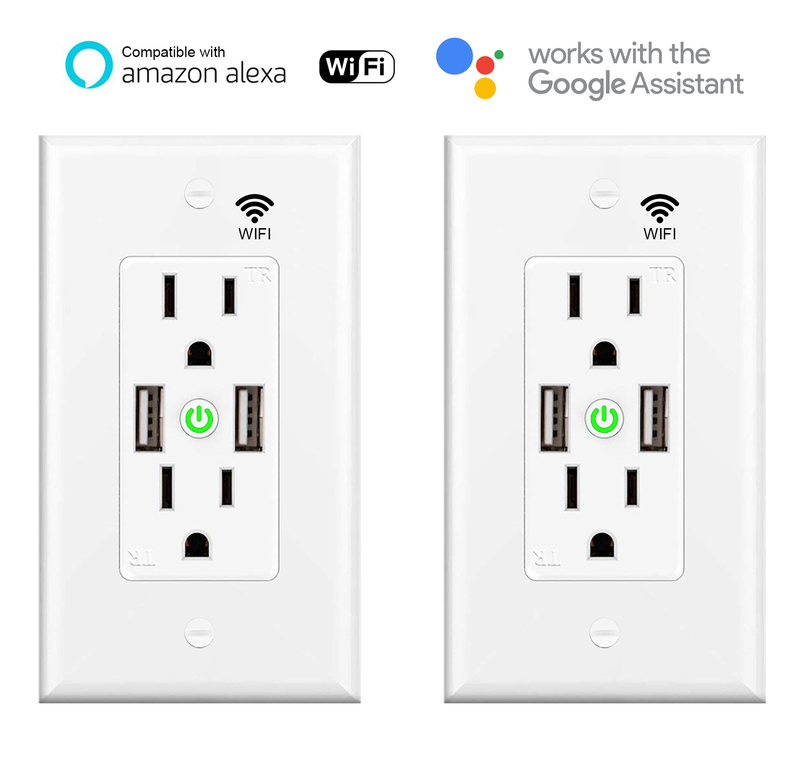 Kuled Smart Plug Mini Outlet, Works with Alexa, No Hub Required, WiFi Wireless Energy Monitoring, Remote Control your Devices from Anywhere, ETL Listed Android IOS Timing Function < #Must Have App Download : Search ” Kuled ” on App store, Google Play, or Scan the QR code on the User Manual and install it. 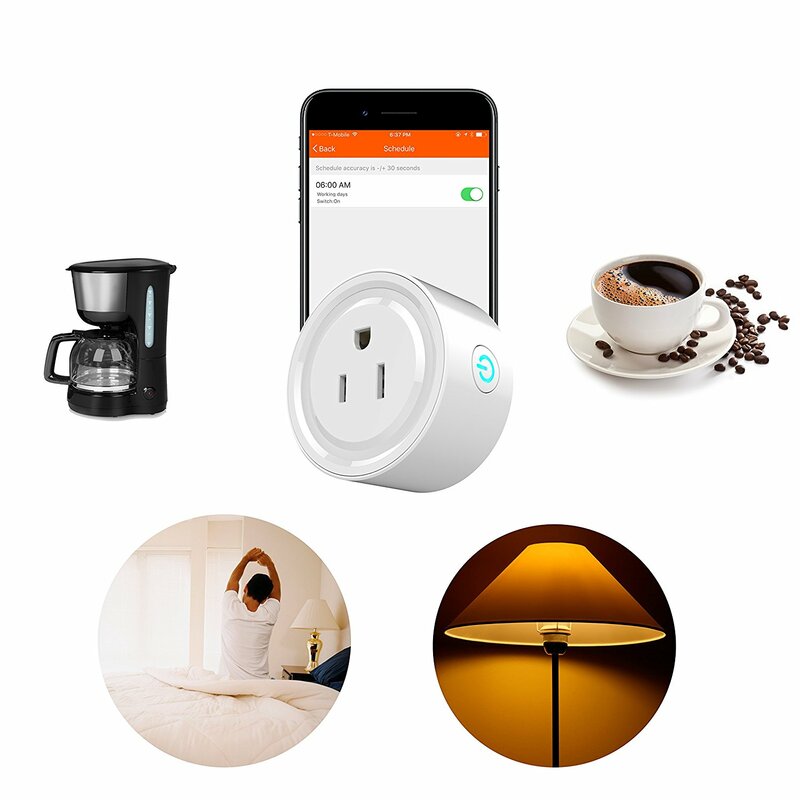 Easy to Set Up – Works with “ Kuled ” APP *Step 1: Download the “ Kuled ” App; *Step 2: Plug the Kuled Smart Wi-Fi Plug into outlet, the button light will be flashing(Paring mode); *Step 3: Configure Smart Wi-Fi Plug preferences on the “ Kuled ” App. 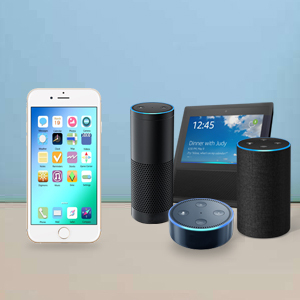 -Works with Alexa *Step 4: Set Your Echo Speaker by Alexa APP *Step 5: Enable Our Skill in Alexa APP Note: Please keep in mind that the “ Kuled” App should be set up first before setting up the Alexa device, please also refer to user manual for more detailed steps. 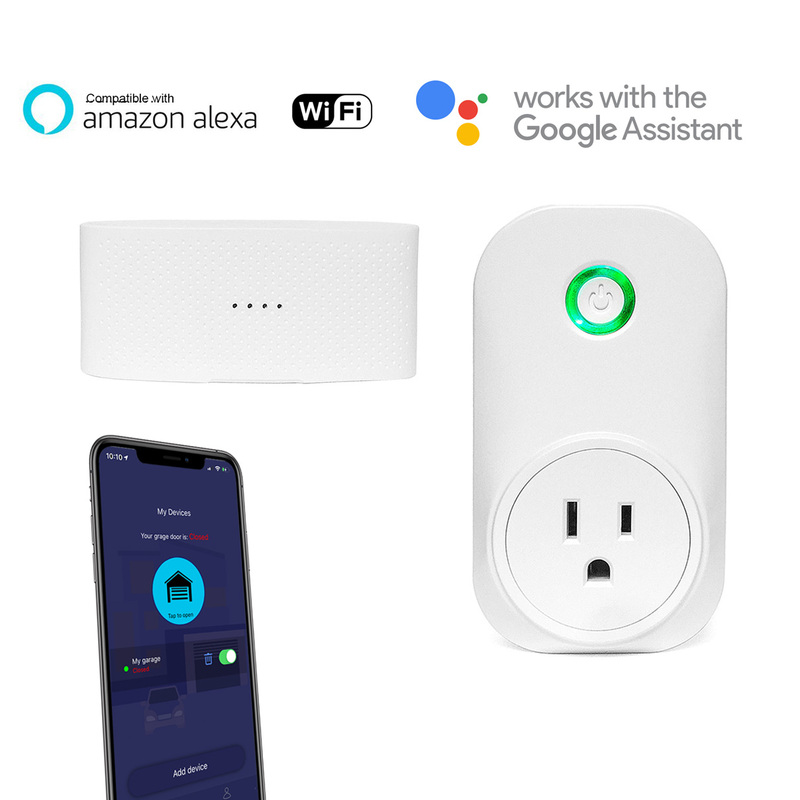 Certified Safe Kuled MultiProtect safety system (Fire Prevention & Over load protection) and approved certifications (FCC ETL CE RoHS) ensures complete protection for you and your devices. 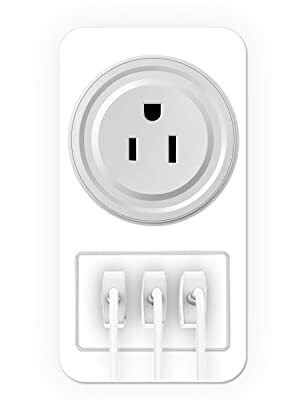 Technical Specifications Model Number: K63 Working Temp: -10 ~ 60 ℃ WIFI Requirement: 2.4Ghz Only Rated Voltage: 100 – 240V Rated Current: 10A Max AC Frequency: 50-60hz Max power: 1100W- 2200W On/Off Button: Press 5-8sec for factory reset. 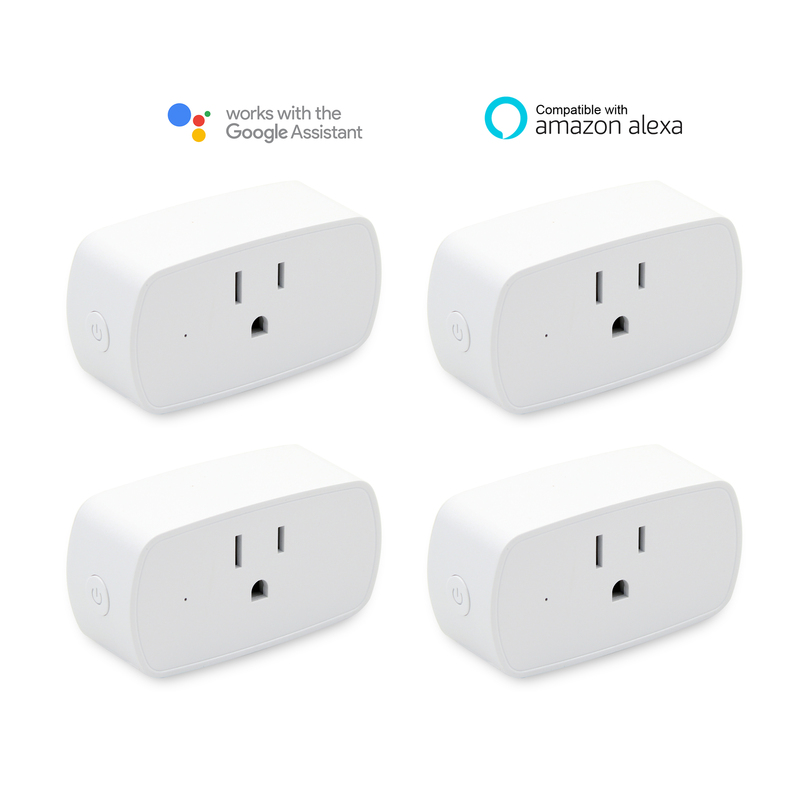 Note: The maximum power changed as the local voltage. 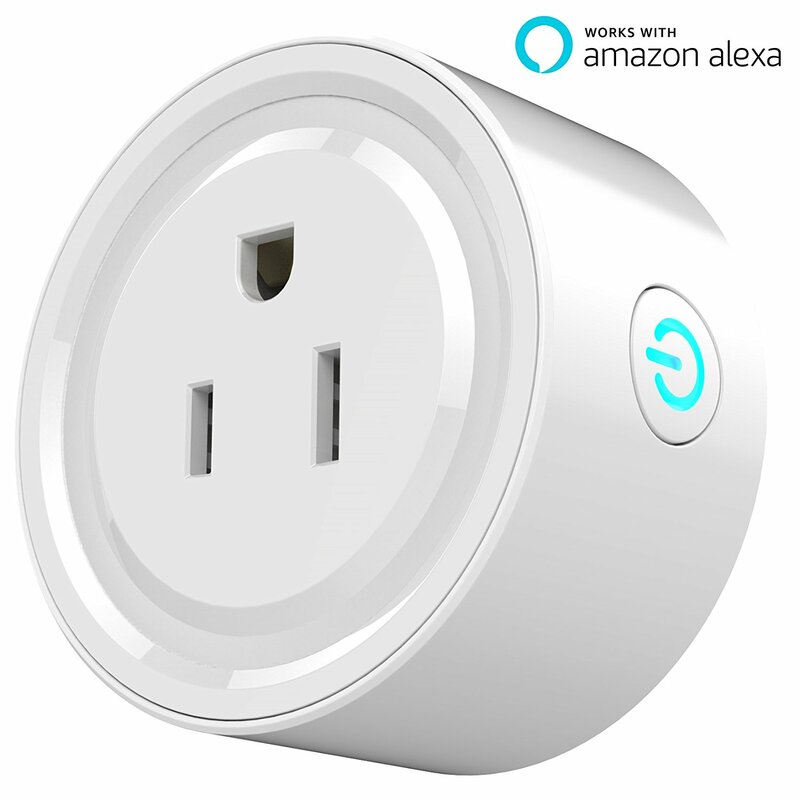 Kuled smart plug works with Amazon Alexa and Google Home and it helps you to control all kinds of appliances through your voice, which totally reliving your hands.Enjoy your moment of talking to Alexa. 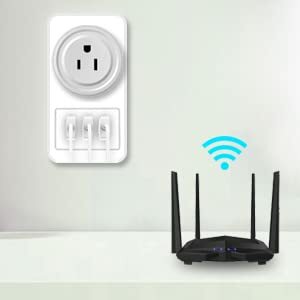 Turn on or off connected devices wherever you are through both 4G or WiFi by downloading the ‘Kuled’ app to your smartphone. 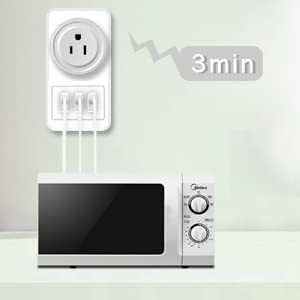 You will not worry about excess waste of electric bill. No more annoying central hubs to set up again. 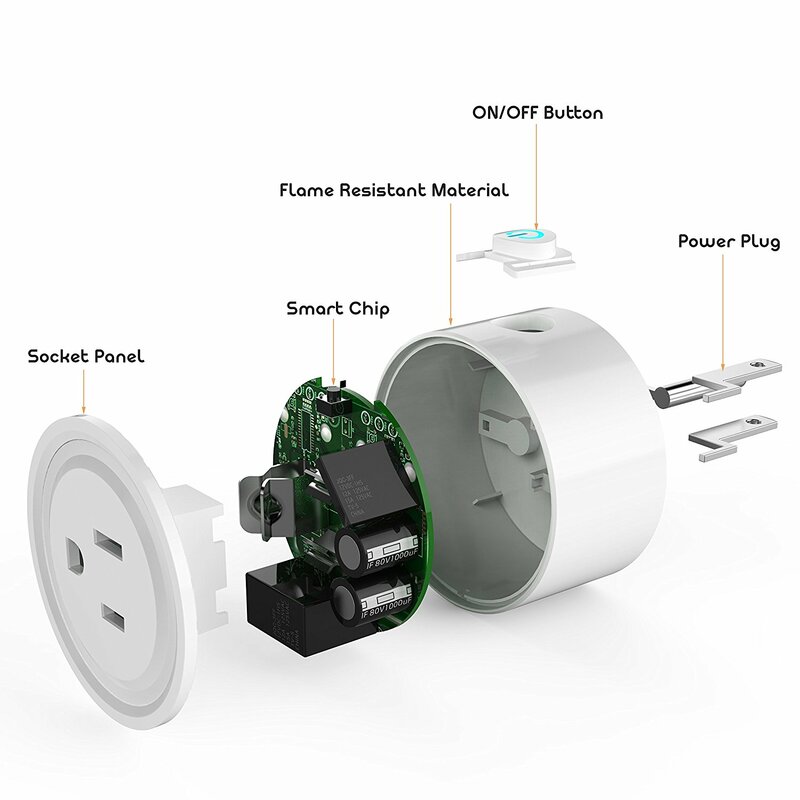 Kuled smart socket simply works with your home Wi-Fi. 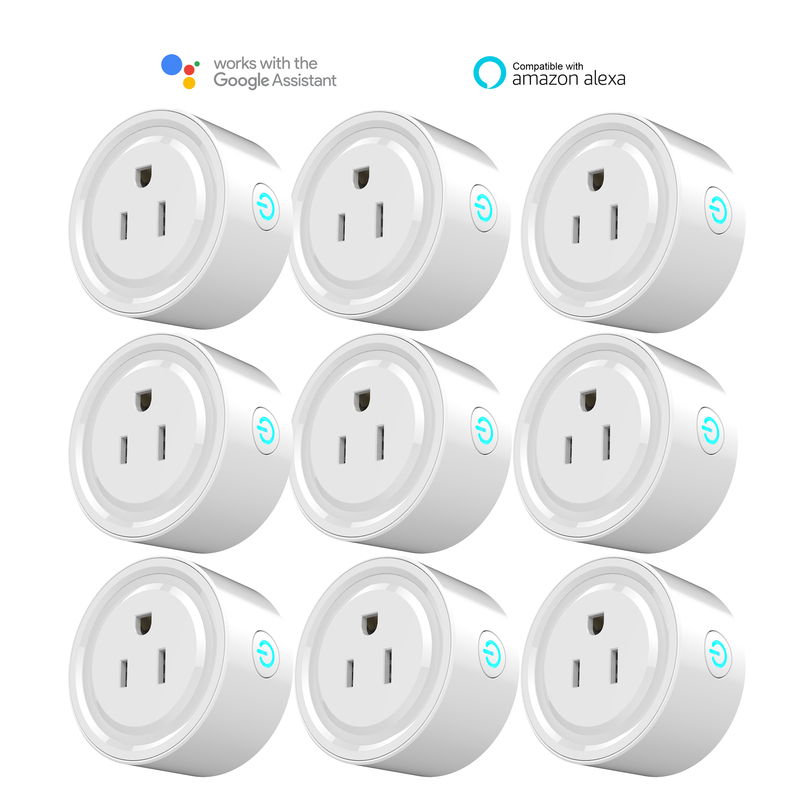 Set no worry schedules for your home lights and appliances. 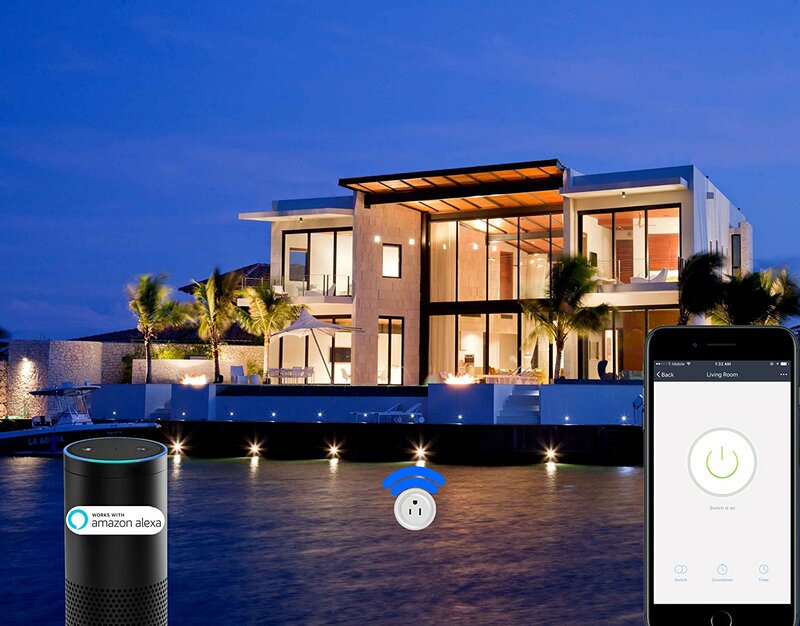 You can use the free Kuled app to schedule a fridge or lamp at any time you like. 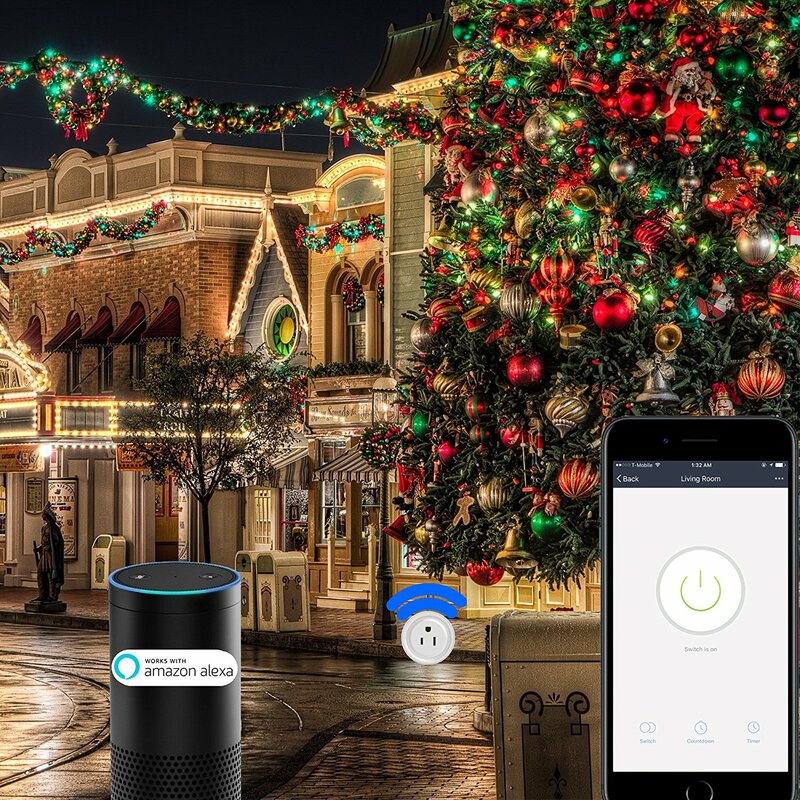 Power holiday decorations the smart way through your smart phone. 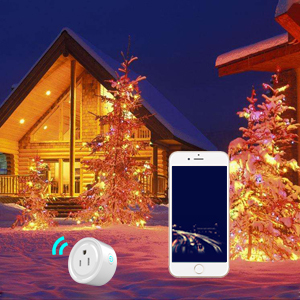 with the help of automatically turn on or off lights, you can save an unpredictable electric bill. 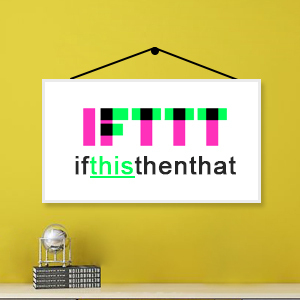 ‘If This, Then That’ is the free way to get all your apps and devices talking to each other. 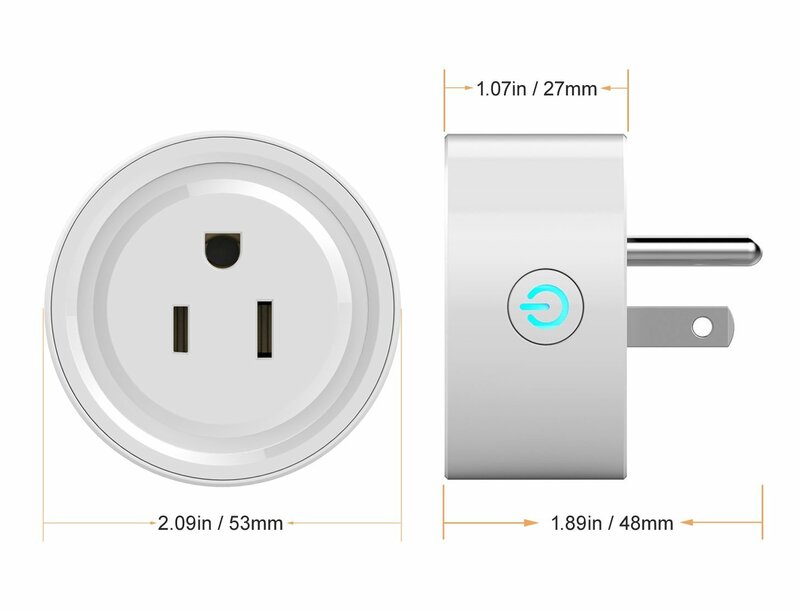 With the help of it, you can easily feel happy when you use Kuled plug.